Are you having trouble letting go of painful and unhelpful patterns? Feeling a vague sense of ‘now what?’ or even more debilitating anxious feelings? Perhaps you are a loving and supportive parent who has reached your limit and don’t know where to turn to support your struggling, adult child. As human beings we develop sophisticated coping techniques and skills to help us become resilient to life’s challenges, but often as we age what seemed to work well before no longer serves us. My passion is helping adults of every age navigate through life’s inevitable transitions. I will help you uncover the underlying issues keeping you from moving forward, and help you to process complicated feelings while creating a plan to live more authentically and aligned with your soul’s purpose. From emerging adulthood to mid-life crises to aging with dignity and independence, each life stage brings its own challenges, opportunities, and rewards. Your therapist is one of the most important relationships in your life. As the clinical director of Plumeria, I can also help you choose the right therapist for you, as well as point you in the right direction if additional or alternative resources are needed. Your search ends here – we will make sure you get the help you need. We are all are capable of change, and each of us possesses innately the tools we need to thrive. I will lovingly and compassionately support, challenge, and accompany you on your journey to your true self! Michelle is a licensed clinical social worker with 18+ years of experience providing counseling and coaching to adults and their families. She has extensive experience providing intensive care management and community-based social work for adults with severe mental/behavioral health diagnoses, including co-occurring substance abuse issues. Michelle has also developed support programs for families who are taking care of adult children with mental health issues, and/or aging parents/family members, so their loved ones can age with dignity and independence for as long as possible. 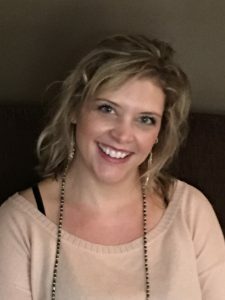 In addition to her private clinical practice, Michelle develops innovative Employee Assistance Programs (EAPs) – including consulting, training, and counseling services – for local employers through her company, Creating Transformational Workplaces (www.transformationalworkplace.com). Michelle is a Board Approved Clinical Supervisor (LCSW-S) in the state of Texas, and she is also credentialed as an Employee Assistance Specialist (EAS-C) through the Employee Assistance Professional Association (EAPA).